Type, Loft, Condition will change. Dexterity, Flex, Type, Loft, Bounce, Shaft will change. Dexterity, Flex, Loft, Bounce will change. Flex, Loft, Bounce will change. Flex, Type, Loft, Bounce, Condition will change. Dexterity, Flex, Loft, Bounce, Length will change. The TaylorMade Milled Grind wedges set a new standard in precision with new CNC machined sole geometry and a precise leading edge to inspire confidence at address. New ZTP-17 grooves and a precision weight port work together to maximize spin and give you an unprecedented amount of control around the green. The Standard Bounce is designed for moderate turf and sand conditions, and a standard swing. 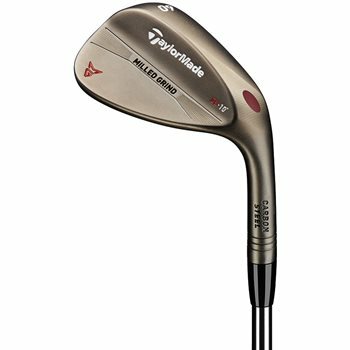 Wedge works well, but a bit more expensive than the other wedges that are equally as nice.